Can you feel all the love on my blog this week? Coming at you with a date night outfit and now a Valentine's day pampering guide? I am spoiling you and yes, you are totes WELCOME. So if a night out with your other half/pals doesn't to tickle your fancy for Valentine's celebrations what about a night of celebrating you with a full-on pamper evening. 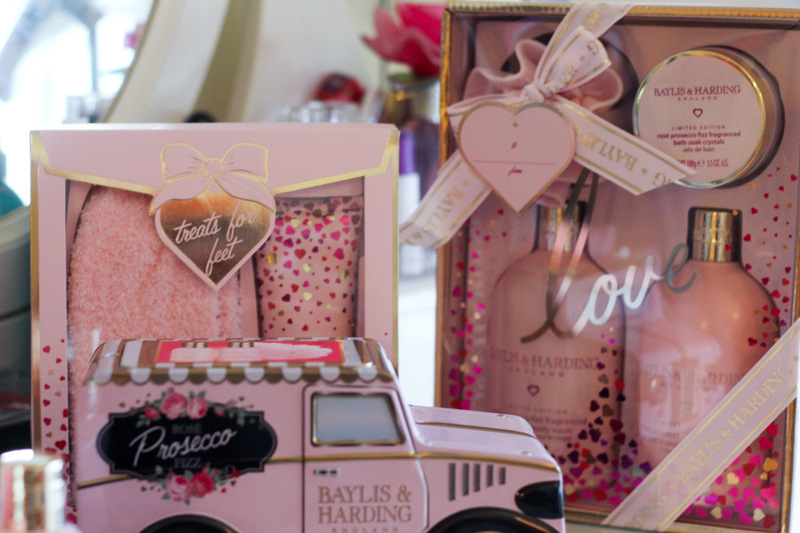 Break out your fave snacks [Cadburys fruit and nut for me] and put on your fave show [SATC always] and get to pampering with the new Valentines day range from Baylis and Harding. Let me talk you through some of the goodies on offer. After a long day of being on your feet bossing life, you need a little something to treat those feet with. The Bayliss and Harding fizz sock set is perfect for just that. The set includes the softest socks and limited edition Rose Prosecco lotion to revive your feet so they're in tip-top condition. Ok, so I defo think this one is my favourite. 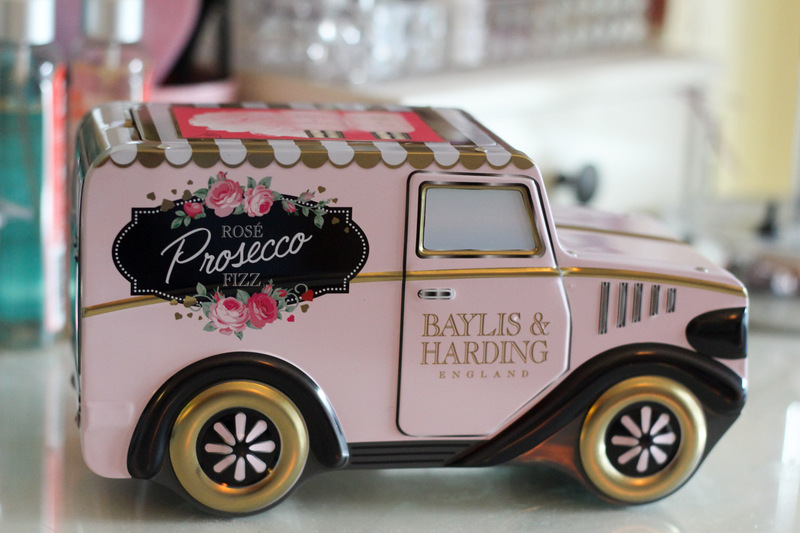 I adore the beaut van tin the set comes in, giving me all the vintage feels with the colour scheme. 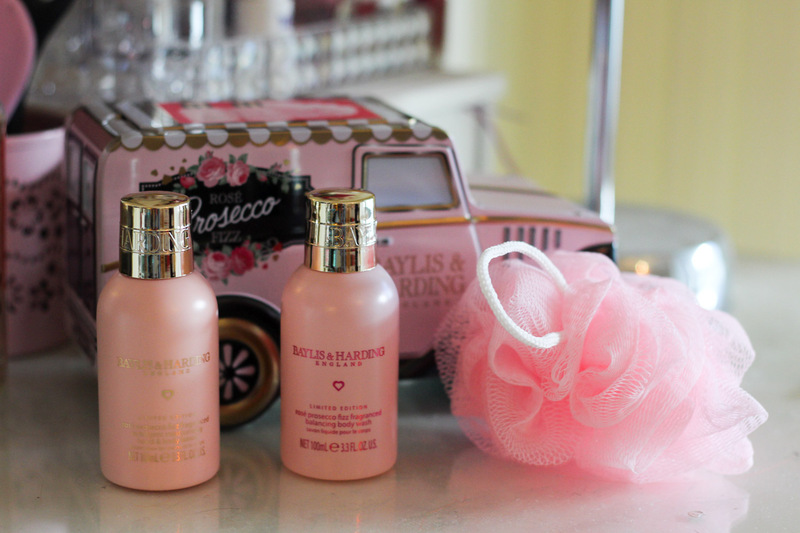 The contents make for a killer bath combo, body wash, hand and body lotion and also a body polisher - cute! 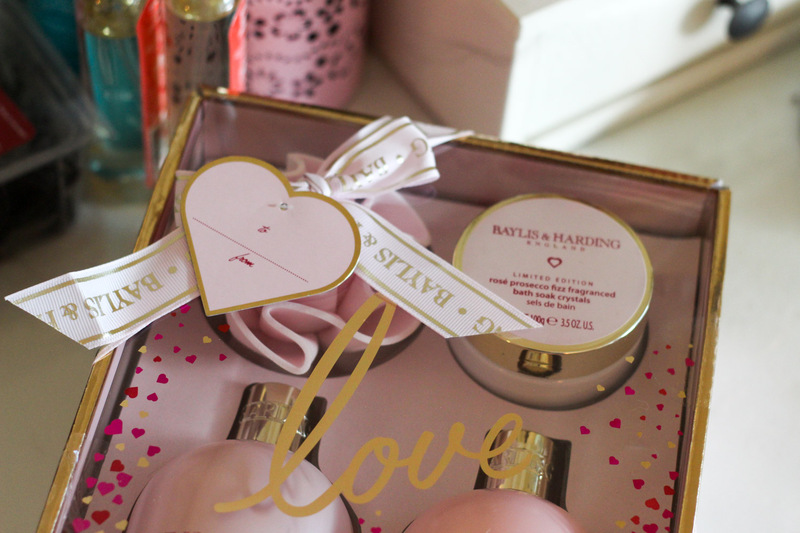 This set is perfect for the ultimate self-care night, light a few candles, run yourself a super hot bath and indulge with the bath soak crystals, shower creme, body lotion and body polisher - heaven!